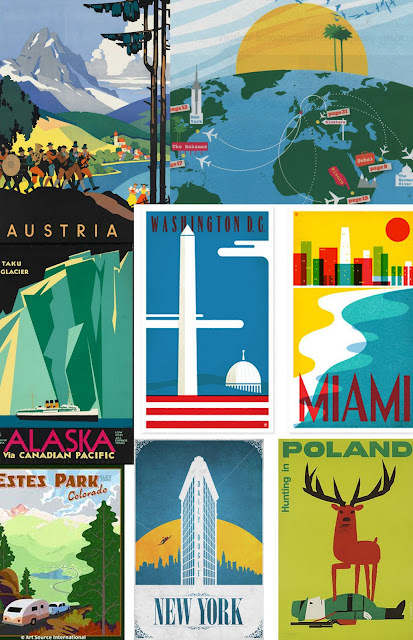 I want to start sharing more of my inspiration with you, so thought I would start with a collection of vintage travel posters, and a poster advertising New York and Spiderman, which is really cool. See more Superhero Travel Posters HERE. Travel posters are nearly always brilliant! The compositions, colours and use of typography are so effective. I particularly like the Alaska poster, with the scale of the mountains and the cruise ship creating a great juxtaposition. I hope that the images you see, will be reflected in my work, but to be honest they might not. It’s just nice to collate some things together that inspire me, even if they don’t completely inform my work. Next ‘Inspiration’ Post will be on Jungles, and circus animals! It sounds weird, but there is a possible project being put together on the theme between me and my friend.